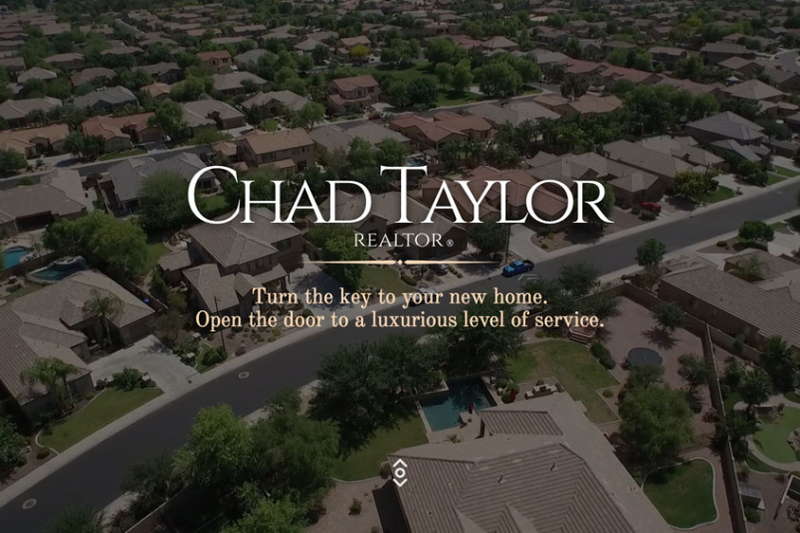 Just like Chad, his website makes a great first impression with it’s full width aerial video of a luxury neighborhood. We kept the color palette neutral and the design timeless. Large, detailed images give the site a modern and approachable look. Our custom-curated content keeps the emphasis on the exceptional service Mr. Taylor provides. As with every site we produce, the website automatically reconfigures itself to display beautifully on any device it’s being viewed on. Current property listings are featured on every page of the site to ultimately direct the viewer to see the listing in more detail. Each listing features a large, easily navigated gallery of the property images. The user is easily able to simply “Request More Information” or even share the property via email with personal contacts or even via Facebook to their network. 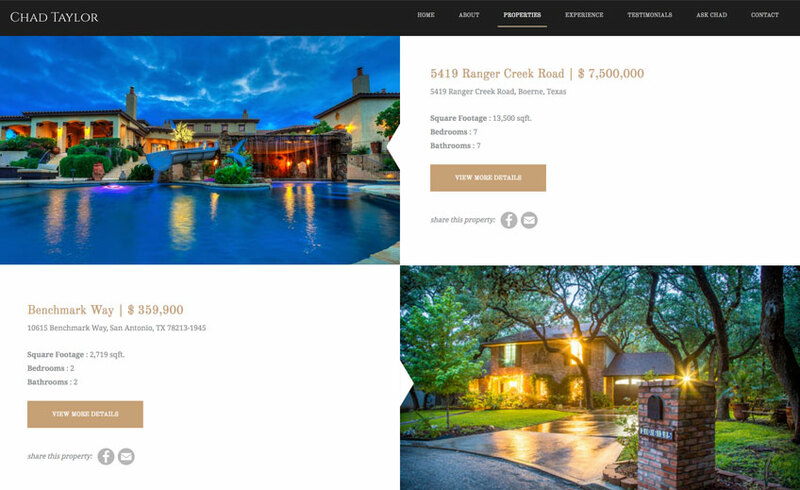 Because the site is built on WordPress, Chad can quickly log into the admin area of the website to create a new listing that will populate across his entire website with a simple click of the “Publish” button. He simply adds in the listing details – price, square footage, number of bedrooms/bathrooms, and a description, and then uploads as many photos to the gallery as needed. This system allows our client to manage consistent updates on his own without having to rely on us. That’s the beauty of a custom, WordPress website! 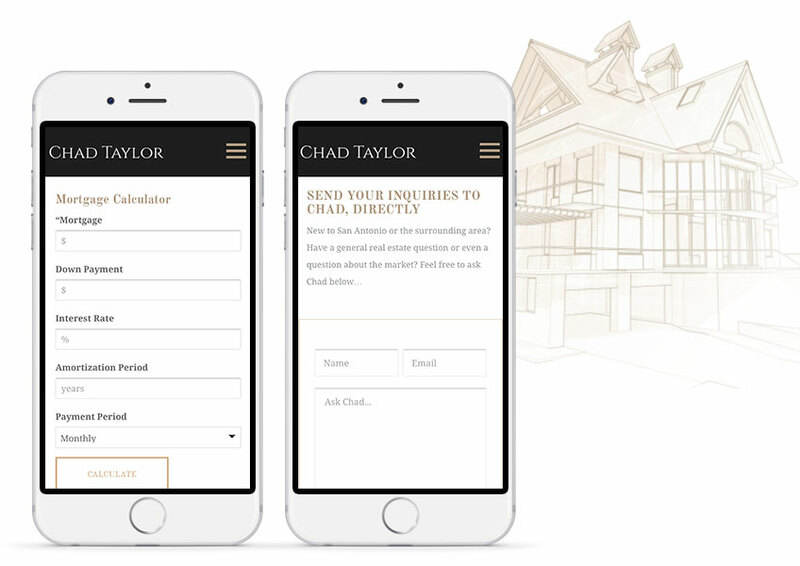 We also included some helpful tools like a simple mortgage calculator and page where you can “Ask Chad.” The “Ask Chad” page allows the user to directly contact Mr. Taylor with any quick questions or concerns they may have. With these leads he will be able to potentially nurture the relationship and either help them find a home or sell a home. 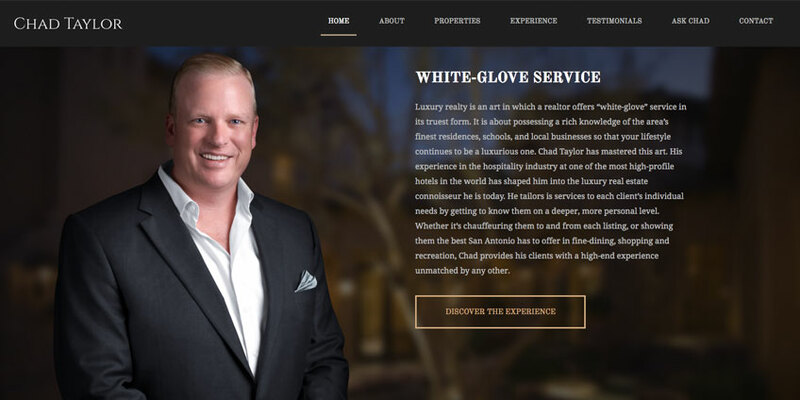 This custom website stands out in an over saturated market and allows every visitor to view Chad’s current listings and get in contact with him for all of their luxury real estate needs. This website will have no problem growing alongside this realtor as he markets future listings.